a) The divider adopts higher order filter , especially up to fourth-order low-pass filter , effectively inhibited the high frequency resonant bass unit. 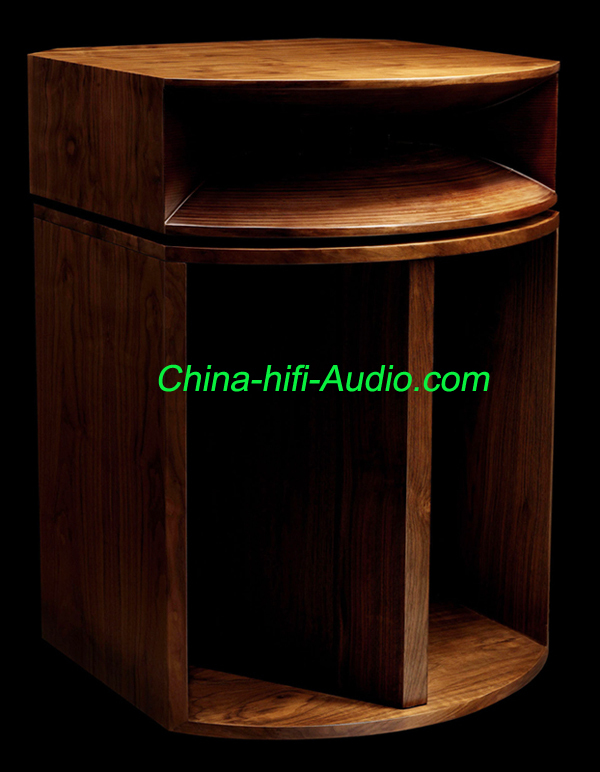 Divider uses multiple RC, LC resonant network and a phase compensation circuit , which effectively improve the directivity horn speaker.Therefore ,the high frequency of M18 speakers feels not rough blunt and harsh. M18 treble horn detail -rich, low frequency can be straight down to 500Hz. b) The biggest feature of M18 is the folded horn bass system structure , the same system using pre-loaded with the treble compression driver type.15 inches driven airflow through the speaker diaphragm of small throat compression produces sufficient radiation resistance , and through careful design and the horn opening large enough to produce a spherical wave frequency below 30Hz and rules. c) Woofer diaphragm made ? ?in the UK paper containing natural fiber , a high elastic modulus , having a lower resonance frequency and Q values. Burkina fold ring coated with special damping rubber , effectively increases the damping vibration system and improve the high frequency response characteristics . 100mm voice coil diameter voice coil using UK manufacturing , oxygen-free copper wire wound , share, DC resistance is small. Penjia made of aluminum alloy die-casting,has sufficient rigidity to effectively suppress magnetic resonance.